My root (“/”) partition filled up nearly to the brim recently on one of my test servers, so I decided it was time to move it elsewhere… but how? In this walk-through, I will refer to your target PC, the one whose “/” needs moving, as “your PC” from now on. If you’re using a VM that’s the one I am referring to – you needn’t do anything in the host. Note that in my setup, the “/boot” and “/home” directories are on their own partitions. If you don’t have this as your standard setup, I highly recommend you look at partitioning in this way now – it helps massively when doing long-term maintenance, such as this! 1/ Boot your PC from the LiveCD. 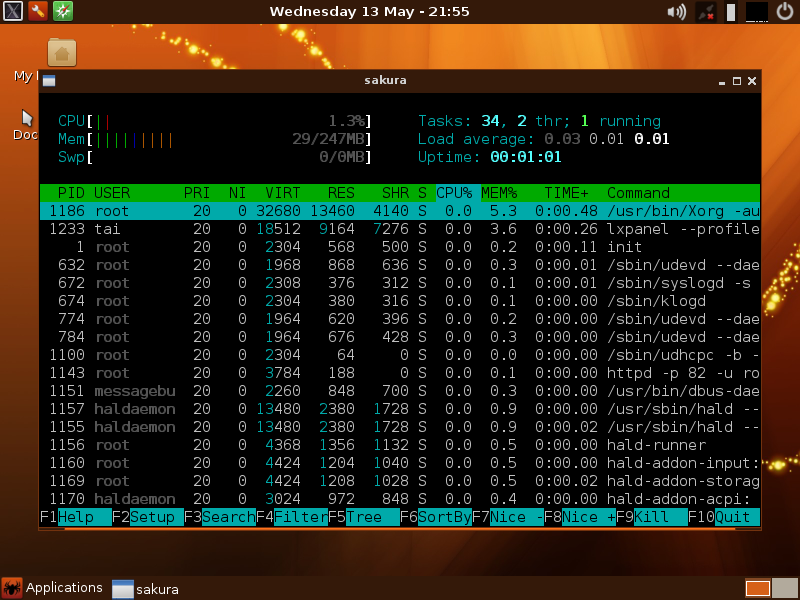 Once the Live environment is started, open a command line, and switch to root, or make sure you can use sudo. Use lsblk to identify all currently attached block devices. I am assuming that /dev/sdb is the new disk. Adjust these instructions accordingly of course. Type `w` to write the changes to disk. Note: in the rsync command, specifically add the slashes at the end: “oldroot/ newroot/” and not “oldroot newroot” !! Change the UUID of the line for your old / partition to the new UUID you just got; and save. Of course, adjust the UUID strings appropriately. If you have never used sed before, read up on it. Keep a copy of the original grub.cfg file too, in case you mess it up first time round. In the above command, the “-e” option defines a replacement pattern ‘s/ORIGINAL/REPLACEMENT/g’ (where ‘g’ means ‘globally’, or in the entire file); the “-i” option indicates that the file specified should be modified, instead of writing the changes to stdout and leaving the file unmodified. Using the “-r” option, you can also make use of Perl-style regular expressions, including capturing groups. After making the change, reboot. Remember to start from the hard disk, remove the Live CD from the slot. See that your root is now mounted from the new disk, with the extra space! This will update the grub config file with relevant info from the new setup. You have successfully moved your “/” partition to a new location. Enjoy the extra space! ownCloud is a popular self-hosted replacement to cloud storage services such as Dropbox, Box.net, Google Drive and SkyDrive: ownCloud lets you retain ownership of the storage solution, and host it wherever you want, without being at the mercy of service providers’ usage policies and advertising-oriented data-mining. Recently the ownCloud developers asked the Ubuntu repo maintainers to remove owncloud server from their repos. 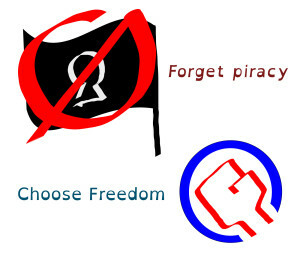 The reason for this is because older versions of ownCloud have vulnerabilities that don’t necessarily get patched: whilst the original ownCloud developers plug the holes in the versions they support, they cannot guarantee that these fixes propagate to the code managed by repos – and Ubuntu is widely used as a base for other distros. For example, Ubuntu 12.04 is still supported and forms the base for many derivatives, and has ownCloud 5 in its repos – but is not managed by ownCloud developers. The ownCloud developers recommend using the openSUSE build service repository where they publish the latest version of ownCloud, and from which you can get the newest updates as they arrive. If you’ve installed ownCloud from the Ubuntu 14.04 repositories, and you want to move over to the openSUSE build repo, here’s how you do it. These instructions are generic. You MUST test this in a VM before performing the steps on your live system. Mantra: do not trust instructions/code snippets from the internet blindly if you are unsure of what exactly they will do. Make a backup of the specific database used for ownCloud as per your database’s documentation. replacing, of course, the placeholders as appropriate. If this is not already the case, it wouldn’t hurt to change things to match this setup. It would also be a very good idea to make a tar backup of these folders to ensure you have a copy should the migration go awry. You have been warned. It is also probably good to keep the original more variable apps directory in /var/owncloud-apps instead of lumped straight into the ownCloud home directory. Note that this directory also contains the “native” ownCloud apps, which get updated with each version of ownCloud – not just custom apps. If you get an error about these being actual directories that cannot be removed because they are empty…. you haven’t actually moved them. If they do not exist of course, that’s fine. This makes the repository trusted (key download) then updates the sources and installs directly from the openSUSE repo. NOTE – if you are following these instructions for Ubuntu 12.04 or any distro shipping a version older than ownCloud 6, you may want to consider upgrading to OC6 first before converting to the latest version 7 – make sure your test this scenario in a VM before doing anything drastic! Remove the directory at $OCHOME, then move /var/www/owncloud to $OCHOME so that it takes up the exact same place your old ownCloud directory was at. 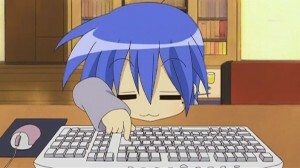 Finally edit $OCHOME/config/config.php to be sure that it points to the correct locations. Notably check that the $OCHOME/apps location exists, and that the data folder is pointing to the right place (especially if you had to move it). 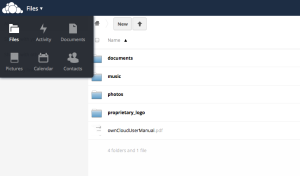 Now go to your ownCloud main page in your web browser. You will be told that ownCloud needs to be updated to the newer version 7 – this will be done automatically. Additionally, you will want to restore the old version of the database. 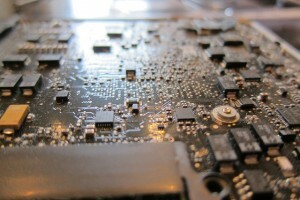 Mounting drives in Linux is a task that sometimes needs to be performed when the auto-mounting mechanism doesn’t apply, and for neophytes can be challenging. The forums are replete with problems about mounting drives, the system not mounting drives upon plugging in the USB or inserting a CD, and permissions confusions. The following post aims to explain as many parts of the manual process as reasonable, covering the /dev folder, mount and umount commands, fstab, umask and some particularities on filesystems and newly created disks. 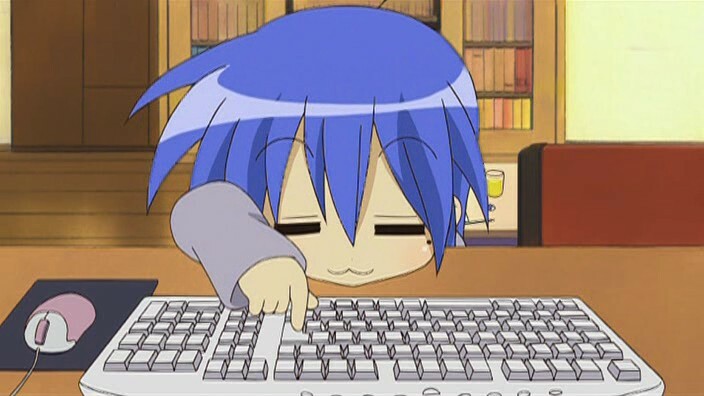 The topic is fairly heavy, with many offshoot topics, and I want to keep this post as straight-to-the-task as possible, so a lot of the explanations will urge you to look up info elsewhere if you want more in-depth discussion. Generally, doing a web search on the name in underlined italics will be sufficient. I also use bold text for example snippets that you’ll need to replace, and pink text for text you would type at the command line, with green monospace text reserved for output. How do I mount my USB key in Linux? Why does my USB always mount as root? How do I automatically mount a drive in Linux? Why can’t I write to my USB in Linux? How do I use the mount command? How do I install on Ubuntu/Linux Mint/Bodhi/(a Linux based off Debian) on the command line? How do I install on CentOS/Korora/Fuduntu/(a Linux based off Fedora) on the command line? How do I use apt-get/yum? When should I use apt-get update? When should I use yum update? What is the build-essential package for? Why should I install the “Development Tools” package group? I tried installing from source using the ./make command but I get lots of build errors. 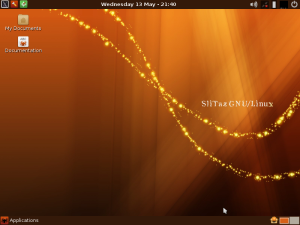 There are several ways to install applications on Linux, depending on your distribution, but for the purpose of this particular article, I am going to focus on the Debian family, which use the apt-get utility – this includes the more popular distributions, Ubuntu and Linux Mint – and the Fedora family, which use the yum utility, as do CentOS and Scientific Linux. One way to install applications is to use the graphical software manager, but I try to not use that. I decided to get more familiar with installing from the command line, for two reasons: a number of programs you’ll come across may require it, and more importantly if the install fails, it’s best to be able to see the full list of messages from the install – this is generally hidden by the automatic installers. To start off with, package managers are software that download your software from repositories and install them, keeping track of what’s installed and in what version. In the most simplistic terms, the repositories are online servers that host numerous versions of a vast number of applications, and the package manager is the utility that connects to these repositories, and installs applications, which come in the form of a number of packages. Depending on the Linux distribution, the corresponding repository may systematically make the latest versions of applications available, or only the latest known stable and fully tested version. For example, Fedora tends to have the most up to date applications; the repository servers are maintained by Red Hat (who make Fedora) who make these latest versions available through their servers. On the other hand, Debian will rigorously test and approve packages before releasing them to their main Stable repository. This emphasis on stability means that packages available normally are quite old already, unless you opt to subscribe to the “Testing” repository, or even “Sid”, the so-called “unstable” repository. The Ubuntu family, like many derivative families, tend to be in between these two extremes, releasing fairly recent versions, but not after a certain amount of testing. Other offshoot distributions may also use another distro’s repository so long as they are compatible. Thus Linux Mint, which is based on Ubuntu, uses Canonical’s repository primarily, whilst also providing their own. You may think a repository then is hardly more than an App Store for GNU/Linux, but there’s a more technical side to it – these repositories do not only hold applications, but libraries, code packages that other applications can use. Windows users are perhaps more familiar with the “missing DLL” errors, Mac users probably know they need to hunt for other apps to support the app they are trying to run. Each GNU/Linux package also comes with a list of packages it depends on. The package manager on your computer then figures out what it needs to install first, what versions and in what order, before installing the package you told it to install. It will make sure another program that uses a different version of the package doesn’t mess with your first app; and when you come to uninstalling the package, it will also remove any packages that are no longer necessary in your system. 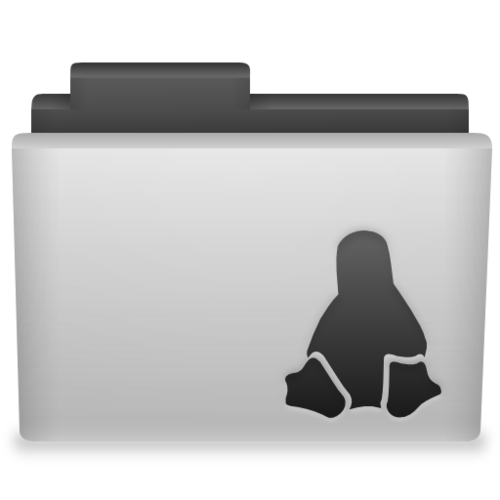 Packages can come in different formats depending on distro, and the trio of package type, package installer and package manager identifies the distribution family of any distro. Ubuntu, Linux Mint, and Knoppix, all popular distros in their own rights, use the DEB packages as prescribed by their parent distribution Debian, installed by the dpkg package installer, nowadays piloted by the APT package management tools. Mageia, RedHat Enterprise Linux and Yellow Dog Linux are all children of the Fedora family, and thus use RPM packages, the rpm package installer, and the yum package manager (from Yellow Dog itself). ArchLinux and its derivatives such as Chakra and Manjaro use specially structured .tar.gz files, and the package manager and installer pacman. 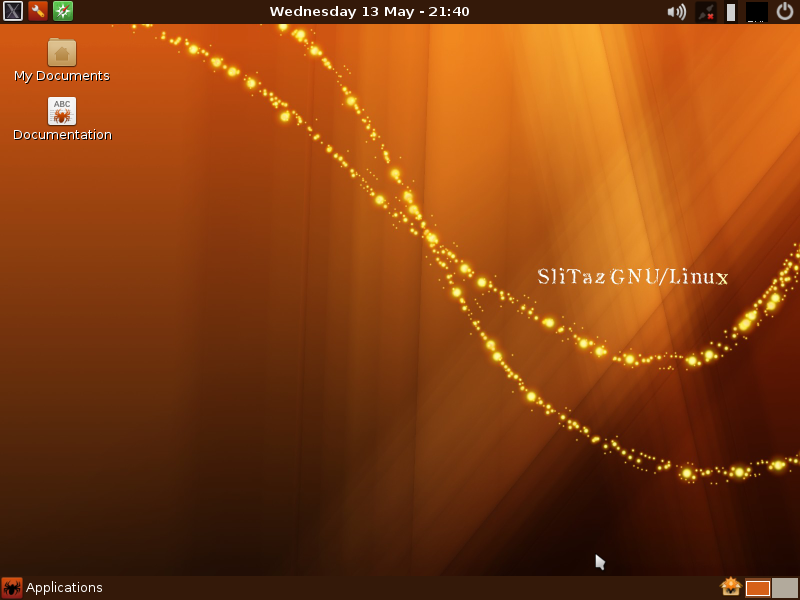 Slackware breaks the mold in that it just has .tgz files, and for a long time it did not have a package manager. A number of third party tools arose in the child distros, including slapt-get, netpkg and slackpkg, and finally swaret that features dependency resolution, which the others do not support themselves. A number of other systems and families exist, but those are the most common. For the rest of this article, I will focus on apt-get and yum – they are the two with which I am the most familiar, and they are used in the two largest and common families. You will find most commands in this article start with the word “sudo”. sudo (pronounced “soo-doo” by some, I say it “soo-doh” like “pseudo”) is a special command, which means “run the following command with root privilege.” Most of the time, you are best not running any commands as root – this is a failsafe to prevent you from doing something silly, like deleting your entire system whilst performing an everyday command. Which, yes, you can end up doing if you’re not careful. sudo tells the machine you really mean it. Before it does anything, it will ask you for your password, and will then check if you are indeed allowed to run admin commands. 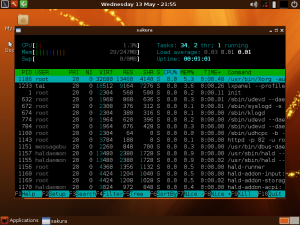 If you run a second sudo command soon after, it will not ask you again, with a timeout depending on distro. This will update APT’s package library. YUM on the other hand updates its repository list every time it is run, so you don’t need to worry about this. This will install a number of other packages that are generally required to build applications from source, most notably the GNU C and C++ compiler suites and libraries, as well as python build tools and perl tools. Makefiles, installer scripts which usually ship with source code downloaded from the web, depend on these tools being installed on your system, and trying to run a Makefile without them will generate a slew of errors. See the examples from the previous section for comparison. You will be asked whether to proceed, after having been given a summary of what packages will be updated and how much extra space will eventually be taken on your system. This also holds true if you’re given an installer file – for example, the VirtualBox Guest Additions has a script for installing the VirtualBox add-ons, which requires the build-essential package to be installed. It doesn’t tell you so though – instead, it advises that it couldn’t find gcc (the C compiler). Depending on which distro you are using, you may need to upgrade your system frequently, occasionally, or not at all. Debian, RedHat and CentOS tend to make any individual release supported for a long time, meaning that they will continue to actively develop and push security fixes and bugfixes for that release. You probably will only truly need to reinstall the system once every 7 years or so, a trait which makes these distros suitable for servers. Fedora on the other hand likes to only have the latest software on hand, and regularly releases new distro versions every six months. Each is supported only for a year after the following version is released, which means under the current six-month cycle, any individual release is only supported for 18 months after its initial release. You’ll need to re-install the system again after that time. In this situation, it is a good idea to isolate your /home directory from the system. For people who tend to upgrade their machines regularly, or tend to experiment a lot on secondary systems (and break these in the process), this is not so much of an issue. Linux Mint advises that you should be able to keep your current installation as long as you wish: from the Linux Mint upgrade notes: “Unless you need to, or unless you really want to, there’s no reason for you to upgrade.” – check the Linux Mint Community pages for more info. I personally disagree with this stance, as it seems to imply that you can choose to stay on a release that is no longer supported, from a security standpoint. As stated in the linked page, any one release only receives updates for 18 months until it is abandoned. Unless you are yourself well versed in security maintenance (and even then), it is probably not a good idea to stay on a system that is not receiving security updates. Finally, there is also the Rolling Release model which is adopted by for example the Linux Mint Debian Edition and the ArchLinux distributions, which simply update the current installation as and when you run the upgrade function of the package manager. That’s the end of the tutorial. Have fun installing lots of fun apps – take a look at this list for a start, and happy installing!